Ocarina usually is made ​​of baked clay or porcelain. Ocarina has 4 - 24 holes, which form the sound height when are closing by fingers of player. On the side of the instrument the mouthpiece extends, used to blow, built like the flute. 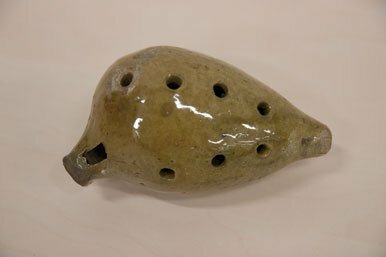 Ocarina was created by Giuseppe Donati in the 2nd half of the nineteenth century but it said that this instrument has over 1200 years. It quickly gained popularity in Europe as an amateur instrument, not difficult to create with own hands. Attempts of ocarina improvement by adding the system of dampers and sliders failed. 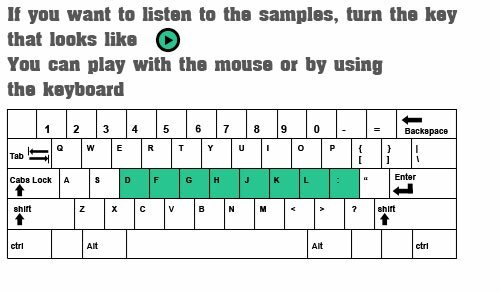 Sometimes it is used by contemporary composers. Ocarina design does not enable adjusting sound height by blowing into the mouthpiece. Ocarina is made of ceramic and painted, mostly has the shape of sphere, potatoes, animals and birds. Ocarina is considered as a magical instrument that is associated with nature and mystery. In Peru, the people who play the ocarina can imitate Amazonian bird singing and also believe that the instrument can calm the nerves. The project involved a lot of people: musicians, theorists, animators. Paweł Heppner – the originator of the project. A specialist in modern media, a scholar of Polish Film Institute, cinematographer and music composer of independent film. He is also a webdeveloper - web designer and an author of training courses. Edyta Ołdak – the co-originator of the project, responsible for the artistic form of the project and workshops. A graduate of Fine Arts in Warsaw, the founder of the Association "with headquarters in Warsaw". The author of several publications and projects carried out in the Association, a scholar of the Ministry of Culture. Anna Grunwald – the head of Scientific - Educational section in the National Ethnographic Museum in Warsaw, the head of the project team in Children's Museum, a PhD student in the Department of Teaching at the Faculty of History at the University of Warsaw. Polonist and teacher (1996 - 2002) in Warsaw's primary and secondary schools. Katarzyna De Latour – she is interested in Polish music and country singing for several years. She leads singing meetings in Warsaw House of Dance. Katarzyna De Latour has a degree in music (with a specialization in lead vocal). She plays the violin and pedal accordion in the band. Romuald Jędraszak – Polish bagpiper from Great Poland. As an eleven year old boy visited Stanislaus Grocholski (the old bagpiper and band manager from Poznan) in his house and found bagpipes in the closet. Then he became highly interested in this instrument. He started learning to play the bagpipes during the summer in the house of his master. The first song which he learned to play was "Lelija". Remigiusz Mazur - Hanaj – Since 2002 juror of Festival of Folk Bands and Singers in Kazimierz Dolny. He conducted workshops at the Institute of Polish Culture at Warsaw University (2003-07). He's a musician and plays the hurdy-gurdy. Dr. musical arts Maria Pomianowska – She graduated from the Academy of Music in Warsaw. Specialized in playing the cello (1992). She is a student of Ram Narayan who comes from India and plays the sarangi. She studies the techniques of musical instruments from Asia by travelling to India, China, Korea, Japan and the Middle East. She also deals with exploration and reconstruction of the techniques of playing the old Polish stringed instruments such as Bilgoray Suka, Plock fiddle and others. Janusz Prusinowski – a violinist, lyrist, composer and organizer. A student of village musicians: Stanislaw Lewandowski, Piotr & Jan Gac, Kazimierz Meto, Józef Zaraś and Józef Kedzierski. He has participated in many music projects continuing the tradition of Polish music, played in the Brotherhood of the Poor (1993) and was the initiator and co-founder of the Warsaw House of Dance (1994). He has given concerts in Poland, Italy, France, Russia, Croatia, Germany, Morocco, Kyrgyzstan, Turkey, Estonia, Denmark, Ukraine, Lithuania, England and Ireland. 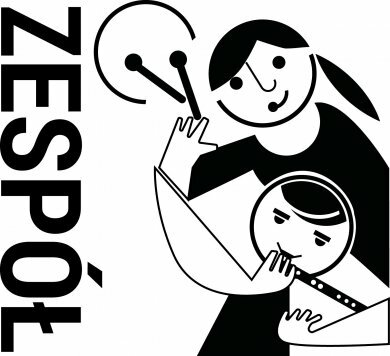 Katarzyna Szurman – a musician, plays the violin and three row accordion. She plays in the band "Black Butterflies" which performs pre-war dance music and also ethno – jazz band "Cute Carnations". She leads music classes for children. Katarzyna Szurman works as a musician in the theater "Lublin Scene 30/32" and the Association of Polish traditional culture "The house of Dance". Piotr Zgorzelski – a bass player and dancer. For 15 years he has been conducting the workshops of traditional Polish dances in Poland and in Europe, which derive from Mazovia, Opoczno, Radom, Great Poland region. He learned directly from village dancers as well as archival sources, creating curriculum which includes contemporary abilities and skills.